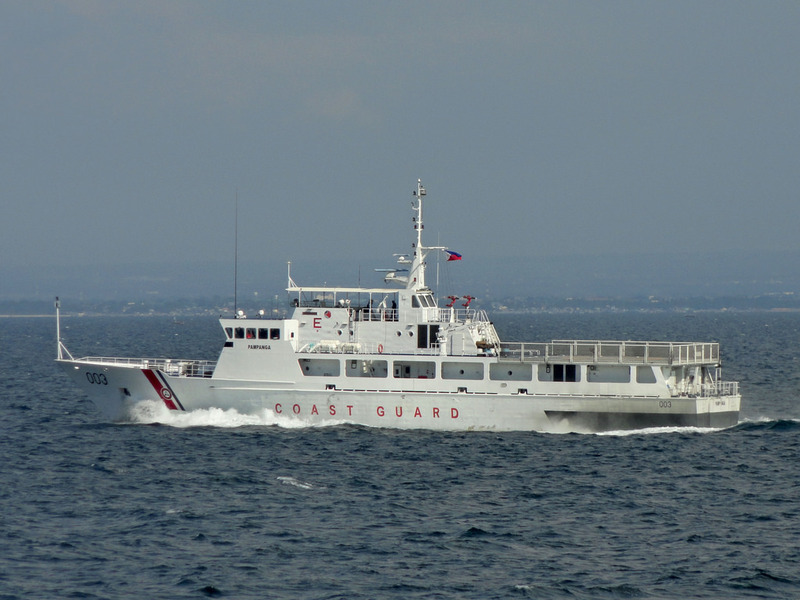 MANILA, -- The Philippine Coast Guard (PCG) said it has deployed another vessel to conduct routine patrol in the West Philippine Sea near Panatag (Scarborough) Shoal. 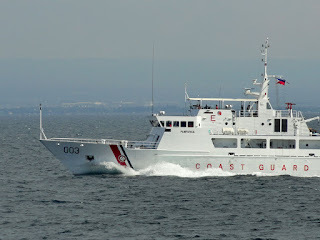 PCG spokesperson Commander Armand Balilo said that aside from the 56-meter BRP Pampanga, the 35-meter BRP Nueva Vizcaya would join the patrol in the disputed waters. 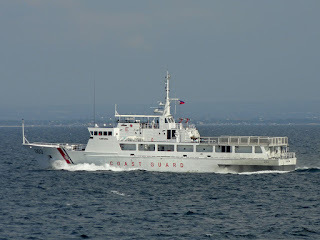 BRP Pampanga started its patrol in the area last month. “The tour of duty of each ship would last for five days. They would be there for law enforcement patrol against poaching and other lawless activities,” said Balilo. The Coast Guard official added that they are leaving it up to the commanding officer of the two ships to determine how far they would conduct patrols. Zambales is the closest province to the disputed Panatag Shoal, which is also called Bajo de Masinloc. The shoal is 124 nautical miles west of Zambales and is within the country’s 200-nautical mile exclusive economic zone. 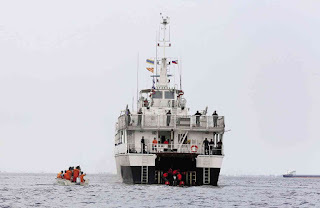 The 44-meter BRP Tubbataha, the first of the 10 newly built multi-role response vessel, is expected to arrive in the country from Japan on Aug. 18. 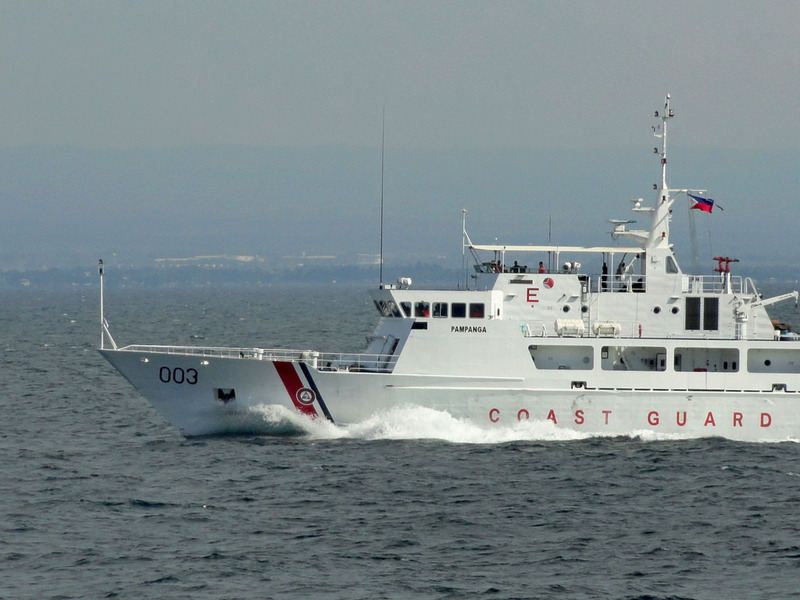 The Philippine Coast Guard (PCG) BRP Pampanga (SARV 003) San Juan-class Search and Rescue Patrol Vessel. 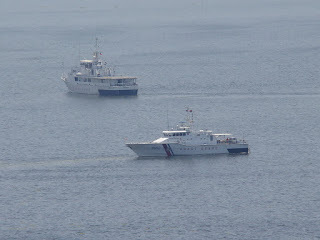 The BRP Pampanga (SARV 003) and BRP Nueva Vizcaya (SARV 3502) conducting routine training exercise inside Manila Bay.